The plane paparazzi has had an amazing two weeks. 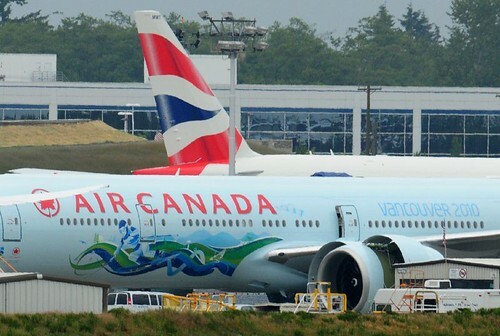 First bloggers uncovered the Oakland Raiders' branded Air Asia plane in an Oakland hanger and then last weekend plane spotters spoiled Air Canada's Olympic surprise. 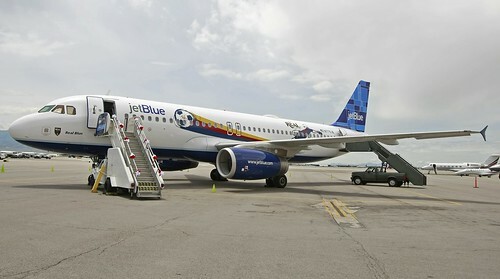 Between these two and the Real Salt Lake/Jet Blue carrier, the PR folks would have you believe that you haven't "arrived" unless at least one member of your fleet is activating ... something. Who doesn't love the "planes with personality" trend, but it's hardly anything new. Shamu and Southwest got the ball rolling on this about 20 years ago. Quite frankly, the "leaked photos" seem like a buzz tactic aimed at getting ink for a less than groundbreaking (but perhaps still effective) promotional activation strategy. One would naturally assume you can justify the variable expense of converting underutilized media inventory (planes) into a higher performing media assets (branded planes), but since in each of these cases only one plane of a massive fleet is branded this becomes largely a PR play. Is the PR a one shot splash or a longer term media showcase? Air Canada plans to capitalize on the latter by fulfilling in-kind athlete travel commitments in the months and weeks leading up to the games. Which do you like best? I say Air Raider. As for Air Canada, the company is currently looking to raise appx. $600 million, but has stated that financial difficulties will not materially change their sponsorship plans. However, Air Canada's CEO made it clear today that expenditures earmarked for the Olympic movement will support everyday operations, even after the games. "On the commercial side - the routes that we're choosing [in support of the Olympics] are routes we believe can support good traffic so we've tried to not identify a massive spend around the Olympic commitment per se, but do things that are part and parcel of the [ongoing business] operations," Air Canada's Chief Executive Officer Calin Rovinescu said.